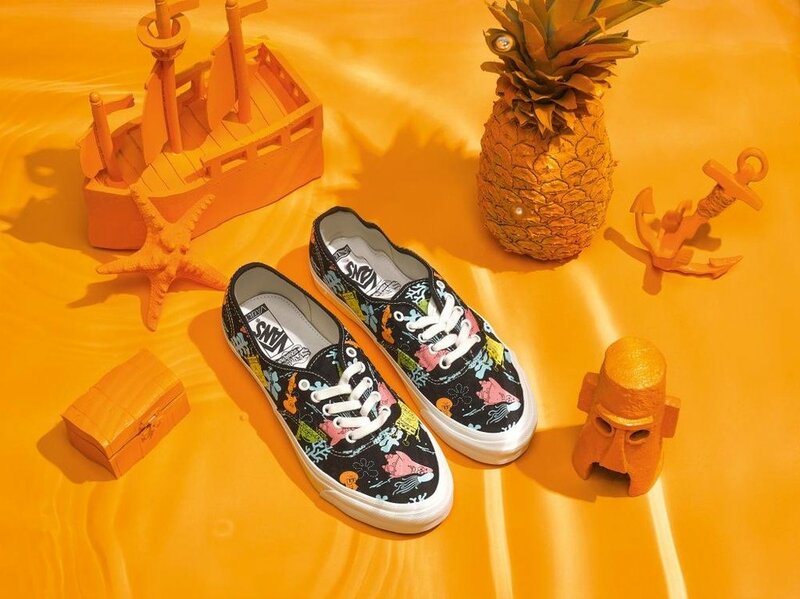 This spring, Vault by Vans partners with Nickelodeon’s incurably optimistic, pineapple-living, jellyfish-loving SpongeBob SquarePants, celebrating his infectious happiness through the premium Vault by Vans label to present a robust collection of footwear, apparel and skate decks featuring kitschy renditions of the characters we know and love. For SpongeBob SquarePants’ grand Vault by Vans debut, the limited-edition partnership introduces six footwear styles on Vans classic silhouettes – the Sk8-Hi, Authentic and Slip-On, available in both adult, youth and toddler sizing. 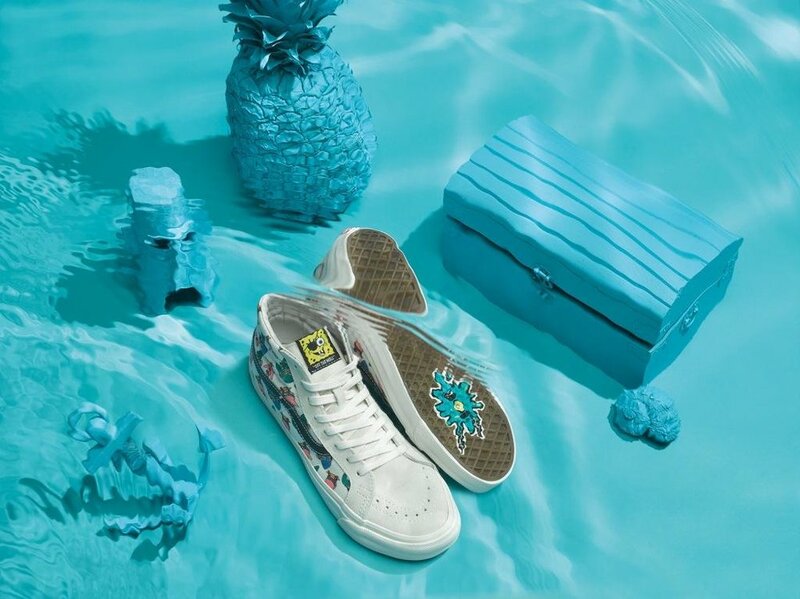 Each style showcases vibrant under-the-sea scenes including original illustrations of SpongeBob SquarePants, his best friend Patrick, and the squashed antagonist Plankton, on Vans signature rubber waffle outsoles. In addition to the footwear, Vault by Vans will offer a bright assortment of apparel, complete with a Vans x SpongeBob track pant, which features a bold checkerboard pattern with graphic detailing. The apparel styles include two classic short-sleeve tees and a long-sleeve tee featuring an array of designs ranging from an embroidered SpongeBob character to a graphic of Patrick holding his skateboard. To round out the collection, Vault by Vans will showcase a limited-run of three skate decks, highlighting corresponding prints and patterns from the overall design theme. The Vans Vault x Spongebob Collection will launch on February 24 at selected retailers such as hanon.